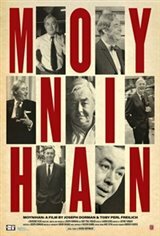 Daniel Patrick Moynihan (1927-2003) did not just live in the twentieth century, he strode across it: a colossus of ideas and a man of deeds. He was a seminal public intellectual and sociologist, policy specialist, ambassador and long serving senator. Moynihan was a moralist in a political world where morality - the urge to do good - is often overcome by the desire to do well. He had, as one friend, recalled, a "mystical belief in public service." In an age of rigid ideologies and political sloganeering, he was a man who embraced the contradictions and complexity of public policy without ever despairing of the role of government in the lives of its citizens. A decade after his death, the first feature length documentary about his life captures Moynihan, the man, the thinker and the doer as never before.